At Metalforming Technology South Africa we manufacture our machinery locally and pride ourselves on our reputation of excellence and professionalism for rollforming machinery in South Africa. We supply and locally manufacture top-of-the-line, quality machines that are designed using international engineering standards for rollforming machinery as well as machinery for steel used in profiling machinery, bending machinery, folding machinery, forming machinery, notching machinery, slitting machinery, blanking machinery and recoiling processing manufacturing machinery. 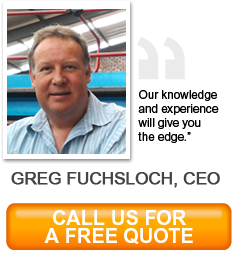 Metalforming Technologies South Africa is the sole supplier of international machine manufacturers such as SAMCO, SIMASV, Formtek, Waterjet Corporation, Schechtl and many more. We supply metal and rollforming machines to the roofing, steel framing, steel fabrication, tubing, and construction industries. Metalforming Technologies South Africa also supplies metal forming machinery into South Africa, Angola, Mozambique, Kenya, Africa, Algeria, Botswana, Cameroon, Ethiopia, Ghana, Gabon, Kuwait, Lesotho, Madagascar, Madeira, Malawi, Mauritius, Morocco, Mozambique, Namibia, Republic of Congo, Sierra Leone, Somalia, Swaziland, Zambia, Zimbabwe, Egypt, Saudi Arabia, United Arab Emirates.